Railyard Leadville has opportunities for a variety of commercial and retail space closer to Poplar Street, which feather into residential uses that decrease in density towards the East. 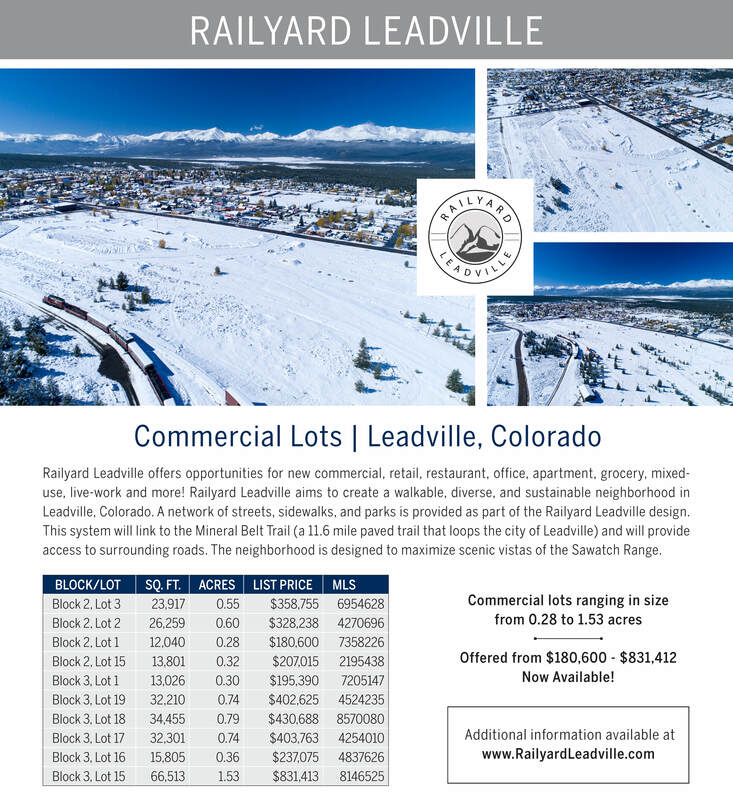 Railyard Leadville has many options for your commercial space needs. The following map is simply a proposal of what the layout could look like. This is an interactive map. Rollover to view more information.